As those who’ve served our country know, being in the military is all about teamwork. And since graduating from the Naval Academy in 1986, serving as a naval officer, and then launching a career in the financial services industry, Jim has been passionate about the value of teaming with others to achieve common goals and build strong relationships. Jim joined Penn Mutual in 2011 as Managing Partner of its Philadelphia agency, 1847Financial, based in Conshohocken, PA. He has since received recognition for several outstanding achievements, including the GAMA International Management Award and the prestigious Penn Mutual Chairman’s Award. Under Jim’s leadership, 1847Financial is continually recognized as One of the Best Places to Work in PA by the Central Penn Business Journal. Jim has also been featured in The Wall Street Journal, ThinkAdvisor, and RIA Central Advisor Newsletter. Currently, Jim serves as the Chairman of the the Board of The American College. He is also Chair of The American College Center for Veterans Affairs, which partners with Penn Mutual to award scholarships to military veterans and their spouses interested in pursuing a career in the insurance and financial services industry. Jim graduated in 1986 from the United States Naval Academy with a Bachelor of Science in Physical Science. After serving 5 years as a commissioned officer in the U.S. Navy, Jim joined CFG in Newtown Square, PA, where he was recognized as Associate Planner of the Year in 1990 and 1991, and appointed Sales Manager in 1992. In 2000, Jim was appointed co-managing Partner at Creative Financial Group and became President of the organization in 2006. In 2008, Jim earned a Master of Science in Management (MSM) degree from The American College. He continues to be an advocate of the College and their efforts to partner with veterans. 1847Financial also actively supports area charities, including Believe and Achieve, a foundation that provides access to basic needs for at-risk youth in local neighborhoods. In addition, Jim is a member of the Naval Academy Alumni Association, The Philadelphia Union League, Overbrook Golf Club and the General Agents and Managers Association (GAMA). Jim Petersen joined First Command Financial Services on March 25, 1983 and served in multiple positions in both the field and Home Office. A seasoned executive with almost 35 years of experience in the investment and financial services industries, Dr. Petersen is an expert in the fields of financial planning, retirement planning and leading large financial planning organizations. Before joining First Command, Dr. Petersen was a commissioned officer in the United States Navy where he served seven years on active duty as a nuclear submariner and retired from the Naval Reserves as a Captain with almost 22 years of service. His expertise included many aspects of nuclear propulsion and submarine warfare. 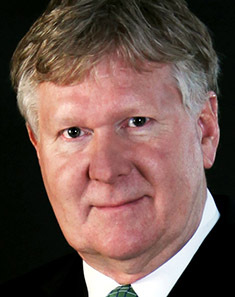 Dr. Petersen received his Bachelor’s Degree from the United States Naval Academy and Master’s Degrees in Financial Services and Management from The American College. On June 1, 2017, Jim became the first financial services manager to be awarded a PhD in Financial and Retirement Planning from The American College of Financial Services. He is a Certified Financial Planner™ (CFP®), Chartered Financial Consultant® (ChFC®), Chartered Life Underwriter® (CLU®), Chartered Life Fellow® (CLF®), Chartered Advisor for Senior Living® (CASL®), Retirement Income Certified Professional® (RICP®), Chartered Advisor for Philanthropy® (CAP®), Accredited Estate Planner (AEP®), and a Chartered Retirement Planning Counselor (CRPC®). He is a member of Financial Planning Association (FPA), GAMA International, and the Tampa Bay Estate Planning Association. He is also President of the Alumni Board of The American College, Vice Chairman of The American College Penn Mutual Center for Veterans Affairs, and a Trustee for the GAMA Foundation. He serves as Chair of the GAMA Foundation, LAMP Committee. He and his wife, Louise, have three children. Albert J. 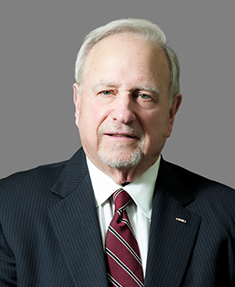 "Bud" Schiff is Managing Director and CEO of Alvarez & Marsal Executive Compensation and Benefits (A&M ECB). Formerly, Mr. Schiff served as Chief Executive Officer of NYLEX Benefits, the executive benefits consulting arm of New York Life Insurance Company. Prior to that, he served as Senior Executive Vice President and a member of the Board of Trustees of the Mutual Life Insurance Company of New York (MONY). Mr. Schiff is a graduate of the University of North Carolina at Chapel Hill and holds Pension Actuary (MSPA), Chartered Life Underwriter® (CLU®), Chartered Advisor in Philanthropy® (CAP®) and Accredited Estate Planner® (AEP®) professional designations. In addition, Mr. Schiff formerly served in numerous insurance industry leadership roles, including: president of the Association for Advanced Life Underwriting (AALU), chairman of the International Million Dollar Round Table Top of the Table, current member of The American College Board of Trustees, past chairman and current member of The American College Foundation Board of Directors. He is a recipient of The American College Huebner Gold Medal and its Distinguished Alumni Award. Mr. Schiff has testified as an expert Congressional witness numerous times before the Senate Finance and House Ways and Means Committees and before the U.S. Treasury and Internal Revenue Service on behalf of the life insurance and financial services industries. Mr. Schiff is a retired U.S. Navy Captain and he is a recipient of the U.S. Navy Supply Corps Distinguished Alumni Award. 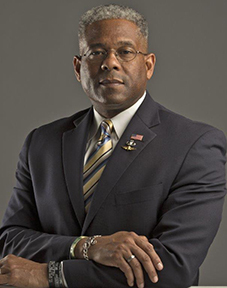 He is a current member of the U.S. Navy Supply Corps Foundation Board of Directors. An avid offshore yachtsman, Bud and his wife Jayne reside in Greenwich, Connecticut. The Schiffs have two grown children, Matthew and Kara, and they have seven grandchildren. With more than 40 years of experience in executive search, Mike Corey is a recruiting industry icon. He specializes in financial services and all lines of insurance, and has recruited over 3,000 executives and consultants worldwide in the private sector, as well as consulting firms, not-for-profit organizations and PE portfolio companies. Mike is currently the Managing Partner of MJC Ventures, an advisory firm dedicated to the financial services industry worldwide. His activities range from executive search, strategic and succession plan consulting to capital raising for new insurance focused ventures. Prior to creating MJC Ventures in 2011 Mike was formerly with Caldwell Partners helping build their US search practice from scratch. He previously held leadership roles at executive search firms Heidrick & Struggles and Highland Partners, Lamalie & Associates and Ward Howell. 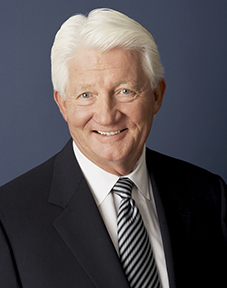 From 1984 to 1995, Mike was the sole owner, CEO and senior business developer for the Chicago Search Group, which was the largest insurance-focused boutique, retained search firm in the country. He was involved in the recruitment of insurance executives in all product lines including employee benefits. His major client for many years was Towers Perrin, where he recruited 400 consultants and was responsible for recruiting CEO's and senior executives in the life/P&C/health lines of business as well as numerous PE portfolio companies. Mike was significantly involved with the Actuarial Foundation as a trustee and a trustee emeritus. He currently serves as a Trustee on the board of The American College. He created and continues to run an event called the Clambake, an annual event for The American College that raises donations for scholarships for Veterans and their spouses at The American College. He formerly served as a board member of Irish Life Assurance Company. 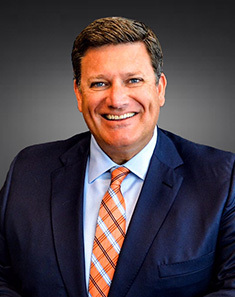 Tom Harris, a member of Penn Mutual’s Executive Team, is the executive vice president, Distribution and chairman, Hornor, Townsend, & Kent, Inc., a wholly owned broker/dealer subsidiary of Penn Mutual. In this role, he is responsible for profitably growing Penn Mutual’s life and annuity businesses through strong relationships with our career agents as well as independent producers, who value a direct relationship with the carriers they represent. Tom leads Penn Mutual’s two distribution channels, the Career Agency System and the Independence Financial Network. His additional responsibilities include Annuity Distribution, Advanced Marketing, Relationship Management, the Life & Annuity Sales Desk, Professional & Practice Development, and Practice Management. Tom’s career spans more than 28 years in all facets of distribution leadership. Previously, as senior vice president, Prudential Select Brokerage, he was responsible for growing life insurance sales through independent producers. He joined Prudential Select Brokerage in 2002 as vice president, Independent Producer Distribution. In 2004, Tom became senior vice president, responsible for Prudential Select Brokerage, where he grew Prudential’s share of life business written through Brokerage General Agents. Prior to joining Prudential Select Brokerage, Tom was vice president, Field Sales Support. His team provided advanced marketing, product and promotional support for Prudential’s Individual Life Insurance operation. Tom is a graduate of Temple University, with a bachelor’s degree in Actuarial Science. He is very active in the industry as a member of the AALU, NAIFA, chair of the ACLI Distribution Committee, co-chair of the ACLI Producer Licensing Task Force, trustee for The American College, and former chair of the LIMRA Brokerage Committee. Tom and his family reside in Doylestown, PA. Author, speaker, veteran, and in-demand international leadership expert, Tracey C. Jones is the President of Tremendous Leadership. 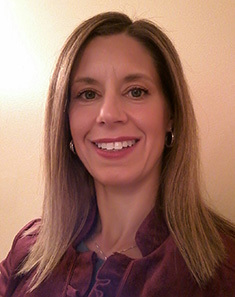 She is passionate about lifelong learning and her career spans top positions in four major industries from the military to high tech to defense contracting and publishing. She is a graduate of the United States Air Force Academy, a decorated veteran who served in the First Gulf War and Bosnian War, earned an MBA in Global Management, and is completing her doctoral dissertation in leadership. 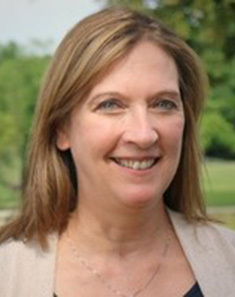 Tracey is also a faculty member of the prestigious Institute for Organization Management (IOM) and was awarded a Doctor of Humane Letters (honorary PhD) from Central Penn College in 2017. Tracey believes you’ll be the same person five years from now except for two things: the people you meet and the books you read. She is the author of eight books which teach character and proactive life skills to learners of all ages. She released Beyond Tremendous: Raising the Bar on Life to help others move beyond the ordinary to generate their best identity. Her latest book, A Message to Millennials, was released in 2017 and encourages the next generation of leaders by teaching the importance of followership. Her latest book, Spark: Five Steps to Igniting the Greatness Within, is due for release in late fall 2018. She has also published five children’s books with her rescue dogs and is an active teacher in many of Central PAs schools and communities. The latest best smeller from her Pups of Personality is called Pawsitive Purrsonlity Plus. She donates her time and talents traveling to other countries to teach emerging leaders entrepreneurship and character skills. She also conducts reading clubs in three State Correctional Institutes where men read transformative material and find renewed value in the life. Tracey’s company has donated over $1.7M to local homeless shelters, recovery outreach and mission groups, disaster recovery organizations, and scholarships to local colleges in the past eight years. 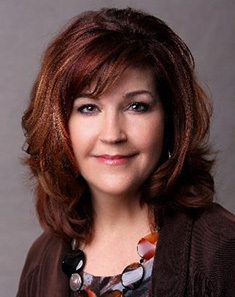 She is a trustee of Lancaster Bible College, and a board member of the Kosovo Leadership Academy. Tracey enjoys the outdoors, biking, traveling, spending time with her pack of rescue pets, and giving others the tools to live a tremendous life. As Vice President, Business Transformation, Sheri is responsible for aligning Penn Mutual’s change agents with the corporate strategy to ensure visibility and clarity. Through this alignment, Sheri builds strong cross-functional teams that create executable programs and roadmaps to achieve goals. Sheri’s strategic oversight of Penn Mutual’s change efforts and her responsiveness to new and changing priorities is evident in her 16 years with Penn Mutual. The Business Transformation team collaborates with business partners across the organization to deliver a wide range of transformational services including project guidance, data analysis, process improvements, product ownership and team formation and coaching. Under Sheri’s direction, the Business Transformation team has been instrumental in the launch of the Accelerated Client Experience, creating an award winning digital life insurance experience for advisers and clients in only 14 months. Prior to her current role, Sheri led highly effective teams in Product Development, responsible for overseeing the end-to-end development of life and annuity products, including continuous improvements to the process. She also leader in Operations with responsibility for multiple change efforts that modernized the operational processes, including the Life New Business program and the Client communication modernization. Sheri hails from a family with proud military traditions. She served in the U.S. Navy with duty stations at the Naval Damage Control Center in Philadelphia, Pennsylvania and the Marine Corps Air Station in Okinawa, Japan. Her father, father-in-law, husband and son have all honorably served in the U.S. Navy. The lessons she learned through her eight-year military career have guided Sheri’s leadership style with teamwork at the center, which is evident as her team works collaboratively throughout the company. 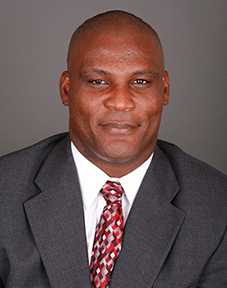 John "Boomer" Stufflebeem is a 30-year U.S. military veteran and former professional football player. Since 2008, he has been an independent consultant advising Fortune 100 companies. He is a noted speaker, mentor, crisis manager, and strategic advisor. Prior to retiring from the U.S. Navy as an admiral, John was the commander of the U.S. Sixth Fleet and deputy commander of all naval forces in Europe, Africa, and the Middle East. He led multi-national forces in combat in Lebanon, humanitarian assistance and disaster relief operations in Pakistan, and security operations in Africa. He served as the commander of a task force in the Iraq war, and as a war planner in the Pentagon where he was the face and voice to the world via international press on operations against the Taliban in Afghanistan following the attacks of 9/11. Additionally, he honed critical leadership skills serving in the White House carrying the nuclear football for President George H.W. Bush as his military assistant during the crises in Panama and Kuwait. He furthered them in the Pentagon as the chief operations officer for the U.S. Navy as well as global operations director on the Joint Staff. Stufflebeem was a career warrior and aircraft carrier fighter pilot deploying more than 11 times and eight years to trouble spots around the globe. He is a graduate of the Navy Fighter Weapons School and TOPGUN, flew over 200 combat missions, and landed more than 1,000 times on aircraft carriers. He built his career in positions of ever increasing responsibility until becoming a corporate chief executive as an admiral putting together teams of increasing complexity dealing with international crises in remote locations of the world often with few resources, little guidance, low initial support, and high expectations of delivering success. John espouses the U.S. Navy SEAL saying, “individuals play the game, but teams beat the odds.” He measures his success today in making others better at their profession ranging from corporate governance to personal performance.